Outfit: Faux leather bustier with printed harem pants!!! 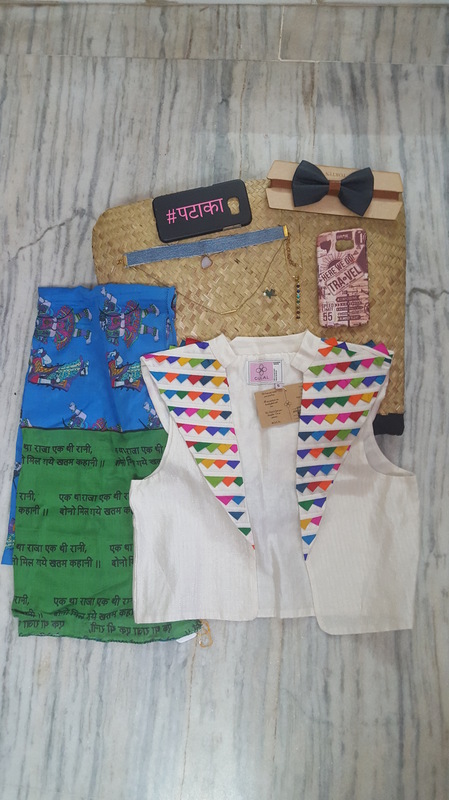 I love experimenting with my outfits and my look specially when I travel and sometimes in my daily life. I have been thinking of penning down my outfits since a very long time and finally I’m doing it. 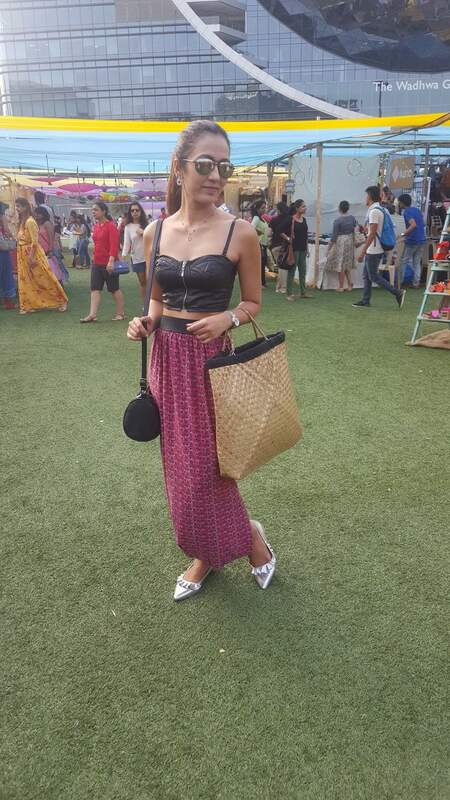 I’ll start with my post about what I wore last Saturday @thelilflea. I went to the lil flea last Saturday. 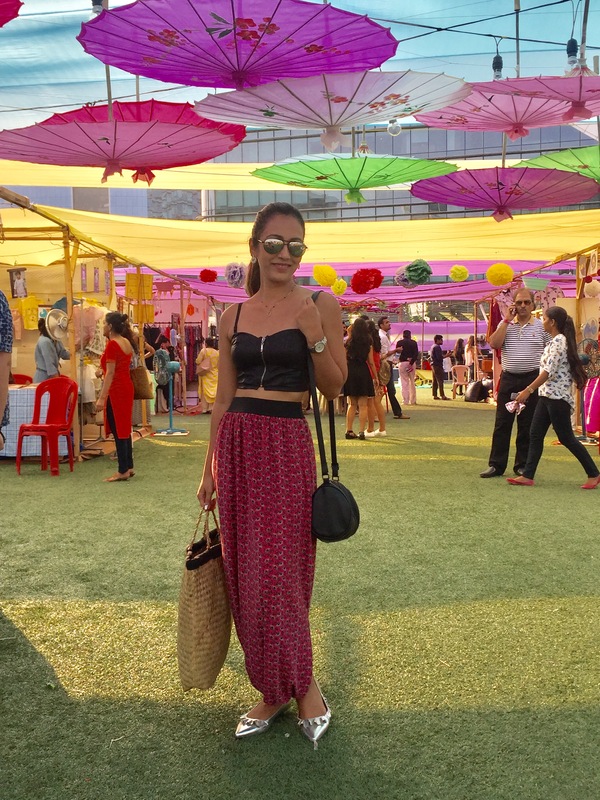 It’s a fun flea market with all colorful stuff (shopping, food and live music). Since it was a sunny evening, I wore pink printed easy breezy harem pants from Fusion beats. The fabric is very soft and I’m in love with it. It looks like a maxi skirt in pictures. But it’s somewhere between harem pants and a maxi skirt. 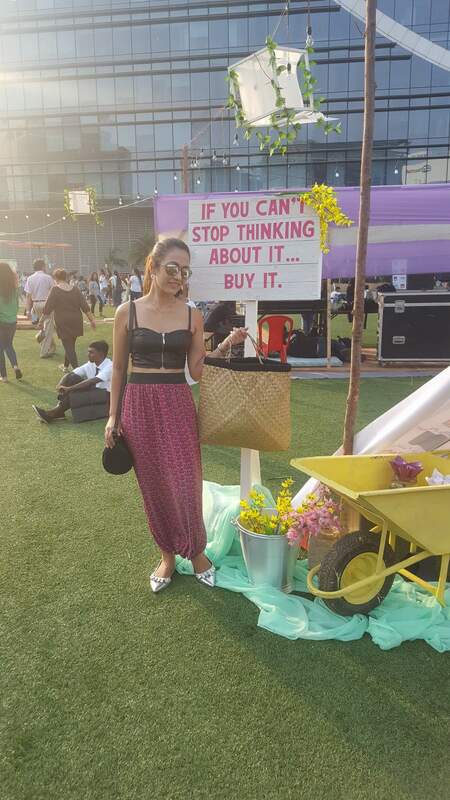 I teamed it up with a black faux leather bustier from Forever 21, a black Sisley sling bag, frilly shoes from h&m and silver accessories (small swarovski earrings, a silver nose ring, silver reflector sunnies and my all time favourite BMW watch). And I carried a oversized cane bag to complete my ‘all set for shopping’ look. 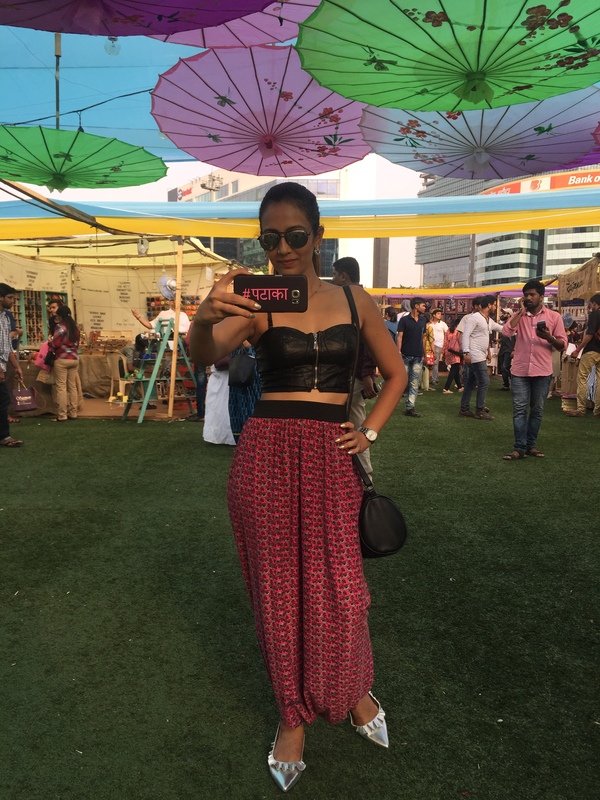 And cherry on the cake was the #pataka phone case which I bought from case factory @thelilflea. How did you like my outfit? Please comment!!! PS- The lil flea is gonna be there today and tomorrow in case you missed it last weekend. It’s their anniversary edition….so it’s gonna be more fun. Have a great weekend!!!! Next postDIY no sew cape and how i styled it!